LED camping lights were the first products we ever invented, and they are still our best sellers today. 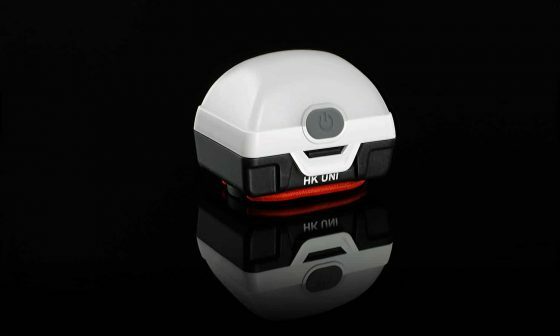 Famous throughout the world for their superior quality and brightness, Hard Korr camp lighting is used by over one hundred thousand adventurers to light their campsites, camper trailers, canopies, toolboxes, caravans and much more. 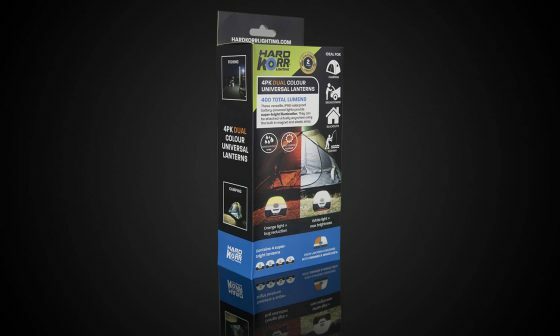 We continue to innovate to stay ahead of the market, so you can be confident that when you purchase Hard Korr LED camp lights, you’re purchasing the best product available. In the market for some camp lighting? We've put together some tips about the different types of lights available, and how to tell high-quality LED camping lights apart from lesser-quality alternatives. 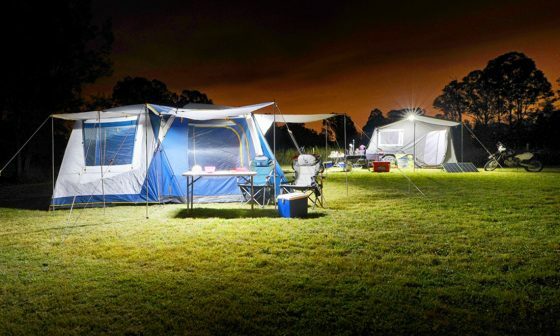 LED Lights vs Fluoro vs Gas: what are the best lights for camping? LED camping lights were invented to address many of the inherent disadvantages in older 12v light technologies. 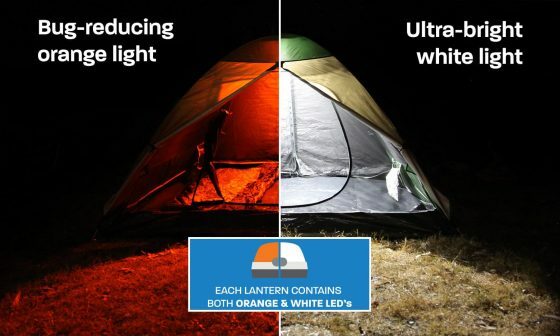 Here is a comparison of the three most common types of campsite lighting. Gas camping lights have been a popular choice for many years, and for good reason. Gas lights provide a very flexible lighting solution; they can generate a significant amount of brilliant white light at high power, and can also be turned down to a warm golden glow for more intimate settings. However, there are a number of downsides to the use of gas lights. First and foremost, they are unsuitable as tent lighting or for use in enclosed spaces, due to the risk of poisoning from emissions generated in the combustion process. There is also the risk of fire, as gas lights produce a significant amount of heat. Thirdly, the fabric mantles commonly used are fragile and can easily be reduced to a pile of ash after a day’s travel on corrugated roads. It can be very frustrating to find you have to install and burn in a new mantle after a long day in the vehicle. 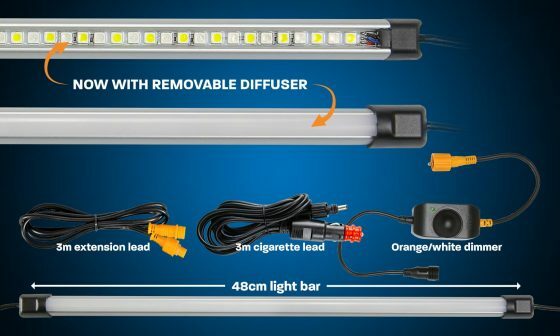 Fluorescent camping lights became popular in the 1990’s as a more efficient, less dangerous replacement for gas lighting. 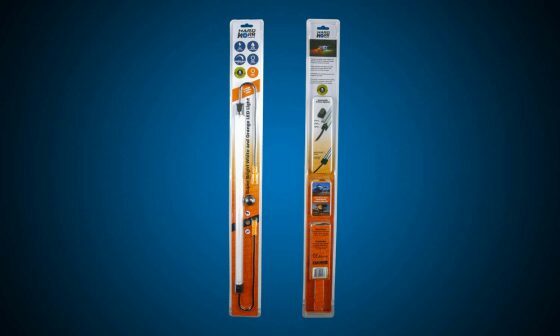 Unlike gas lights, fluoro camp lights run cool and do not emit poisonous substances when lit, meaning they can safely be used inside as tent lighting. They are efficient users of power (generally 50-70 lumens per watt), and provide a strong, diffused light beam. The disadvantages of fluorescent camp lights are mainly around functionality and light quality. Firstly, they can take up to 3 minutes to reach full brightness after being switched on. Secondly, they are generally not dimmable, unlike gas lighting and LED camp lighting. Thirdly, fluorescent bulbs tend to gradually dim over their lifespan, unlike good-quality LED lights which generally will not start to dim until at least 50,000 hours of use. LED camp lighting is the newest mainstream lighting technology on the market, and is arguably the best type of light for camping. 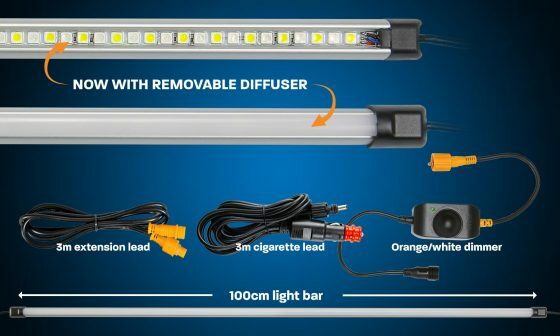 It has rapidly increased in popularity since we introduced our compact LED rigid bars in 2008, and nowadays you can see a proliferation of all different kinds of LED camping lights in campsites across the world. The main advantage of LED technology is efficiency. At 90-100+ lumens per watt, LED camp lights draw an extremely low current for a given brightness, making them handy for camping at non-powered sites. 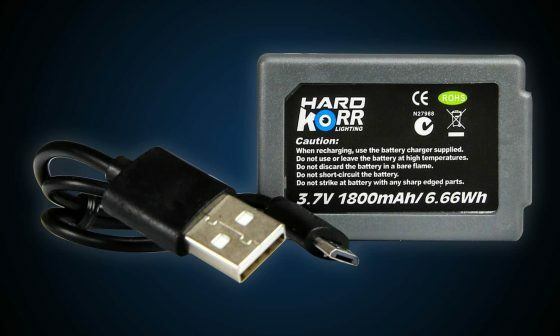 The super-low current draw also makes it easier to power from small batteries such as AA, D or 18650 size. 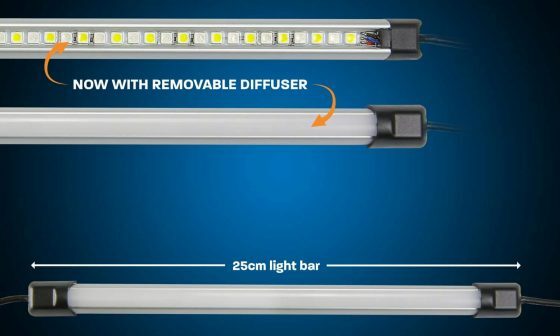 In addition to better efficiency, LED lights produce almost no heat, reach full brightness almost instantly after being switched on, are dimmable, and have an extremely long lifespan (50,000+ hours before light output/quality starts to decrease). Their Colour Rendering Index (CRI) is usually higher than other forms of lighting as well, meaning they reproduce colours more accurately. Finally, they are much more hardwearing than a gas or fluoro light, making them particularly ideal for long trips with multiple setups and packdowns. There are a couple of disadvantages to using LED campsite lighting. They can be uncomfortably bright if positioned in one’s field of view, and their beam can tend to be more directional than gas or fluoro lights. But overall, they represent a huge improvement over older lighting technologies and are widely considered the best type of camping lights and tent lighting. Let the buyer beware: not all 12v LED camp lights are created equal, even if they are the same length. Whilst they may appear very similar on the surface, cheaper lights cut corners in a number of critical ways. Here are some that we’ve seen. Reducing the number of LEDs per length is the most blatant way that cheap companies cut corners compared to better quality brands. 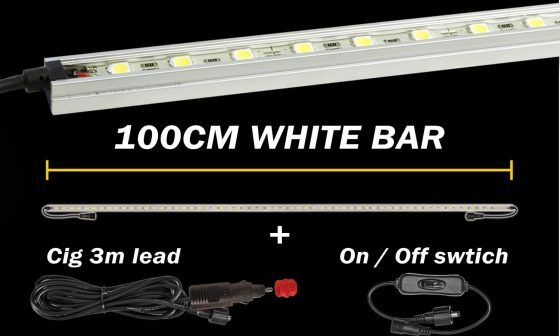 For example, a Hard Korr 48cm LED Light Bar contains 30 LEDs, whereas some cheap camping lights have as few as 21 LEDs over the same length. Another easy way to cut corners is to use LEDs that are less powerful. 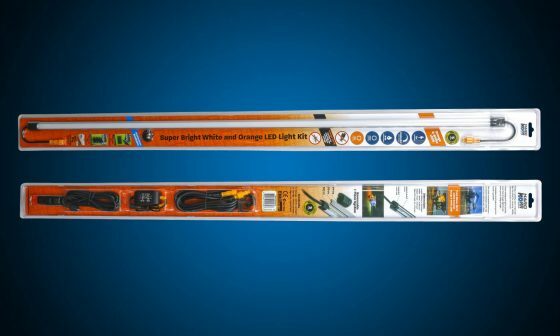 A good quality 48cm LED camping light bar should produce 580-600 lumens of light, whereas some poorer quality light bars – even some that have 30 LEDs – produce as little as 480 lumens. Most people misunderstand what Ingress Protection (IP) ratings are in relation to 12v camping lights. They tend to think of it as a linear scale, where each number represents a slightly better grade of protection against water. This is not entirely incorrect, but there are a couple of misconceptions. Firstly, the number “6” actually relates to dust ingress, not water ingress. Secondly, in relation to water ingress there are different tests at different points on the scale. IP61 and IP62, for example, refer to protection against dripping water. IP63 and IP64 relate to spraying or splashing of water, and IP65 and IP66 are for protection against water jets of different pressures. Only at IP67 and IP68 do the tests relate to full immersion in water. Our LED light bars are all rated to IP68, meaning they can survive all the inevitable thrills and spills of the camping lifestyle. Primarily, we do this by applying a thick layer of epoxy resin over the top of the chips. Not only does this provide waterproofing, but it also makes the face of the lights extremely resistant to scratching and impact. Many lesser quality brands use silicon to coat the chips, which is problematic as silicon is soft. This makes it prone to scratching and abrasion, which over time will start to turn the coating opaque, lessening the light output. 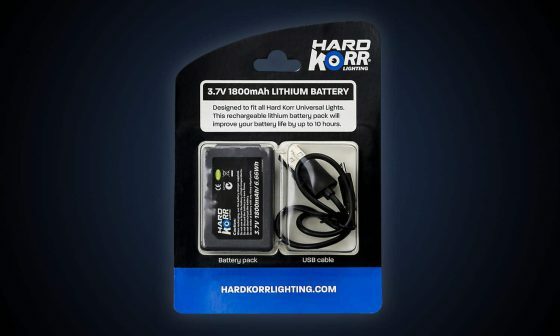 Hard Korr LED camp lights have high quality grommets at each end of the bar. This is to address a critical potential point of failure, which is the end of the wire fraying and breaking away from the bar. It also improves the waterproofness of the lights. Many cheaper brands will use a lower-quality grommet or no grommet at all. Beware of any camping light bars that do not have grommets; in our experience, these lights will fail quickly with regular use. Another small cost saving which, inexplicably, many cheap brands seem to take is to lower the quality of the wire. A thin, poor-quality wire will substantially lower the amount of power that actually gets to your bars, particularly when you use extension leads. This means much lower brightness. 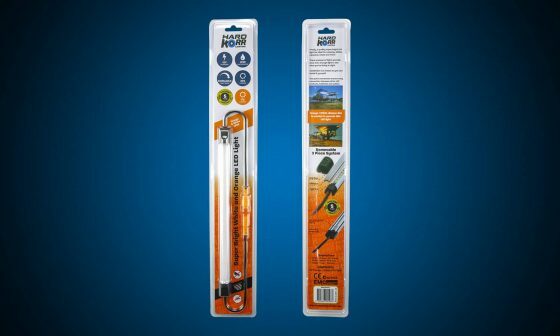 Hard Korr camp light bars use double-insulated, oxygen-free, 22AWG cable to minimise voltage drop and ensure maximum brightness even if you use long extension leads. Whilst not a direct measure of quality, the warranty offered by the company can be instructive in understanding the expected quality and longevity of their products. Many cheap brands will offer 12 month warranties (if at all), and they do that for a reason – they don’t expect their products to last much longer than that. 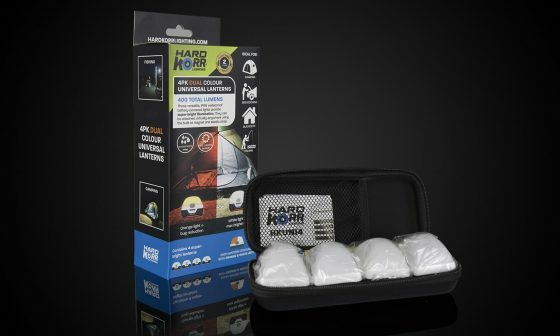 Hard Korr, on the other hand, offers a minimum of 2 years on all our LED campsite lighting products, and 5 years across most of our range. We’ve had a commitment to quality from day one, and our long warranties are a reflection of that. In fact, we have happy customers visit us at trade shows all the time to tell us they’ve still got some of our earliest camping lights in service. Got more questions? Send us an email, we'd love to hear from you.